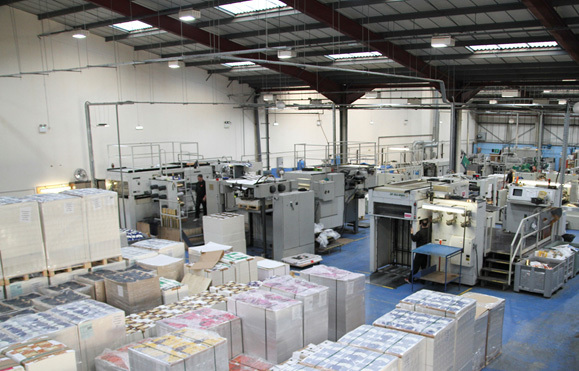 Hinckley, Leicestershire: Frip Finishing is the leading provider of decorative print finishing and specialist lamination services to the UK packaging industry, with five UK manufacturing sites serving a growing number of national and regional businesses. An initiative to continually improve waste management performance led by Group Managing Director Leslie Gibson has included a recent site by site audit conducted by Prismm Environmental. The Environmental and Waste Management Report produced as a result of this audit confirms that all Frip Finishing sites now achieve a Zero Waste to Landfill target. Frip is experiencing strong year-on-year growth as manufacturers in a wide range of industry sectors use its packaging and finishing expertise to strengthen the integrity of fresh produce, such as sandwiches and other fast foods, as well as enhancing the visual impact made by their products when stacked on a retailer’s shelves alongside competitive products. “I am delighted with our Zero to Waste Landfill performance, particularly in this period of sustained sales growth”, said Leslie Gibson. “We have vigorous waste management controls in place throughout the organisation, and our print finishing processes are designed to minimise our waste streams.